As I mentioned in the intro to why I opened Console Corner—the section of Speculiction devoted to video games, it has been a learning experience discovering what are considered ‘good games’ by people who never left the gaming scene for many years and returned, as I did. 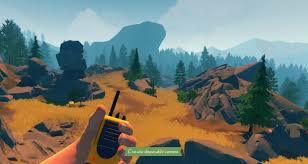 One such game that has received a good amount of positive buzz in the past year or more is Firewatch by Campo Santo. The internet steering me in the right direction with Witcher 3, Journey, and Inside, I put to the test its Firewatch recommendation. I’ll take the blame for that one. Positively Hitchcockian is the only way to describe Firewatch’s story; from the most innocent of openings, a subtle, goose-pimply mystery reveals itself. (At one point I literally jumped in my seat when a certain something I had been chasing was revealed—and I normally never scare in a game or movie.) But aside from the macro story (not the micro) there is only one additional thing to recommend about the game: the voice acting. Attaining a degree of realism beyond the graphics, it’s superb. Beyond the voices, and to some degree the landscape details, there is very little, if any, actual game to play, however—little micro story to interact with. About the only agency a player has is the power to guide Henry from one place to another via map and compass—a walking simulator, in fact. All other decisions and actions are out of the player’s hands, the story/game holding all the cards. When truly boiled down, gameplay is essentially getting instructions from Delilah to go to point A, and once there and having clicked on the object or thing the storyline demands, getting instructions to go to point B, and later C, D, E, etc. There is extremely little interaction with the setting or its elements, save finding one’s way through the trails and forests to the next point. There were no puzzles to solve, no obstacles to overcome, no face to face character interaction, no branching storylines from the dialogue—nothing to engage with save orienteering. 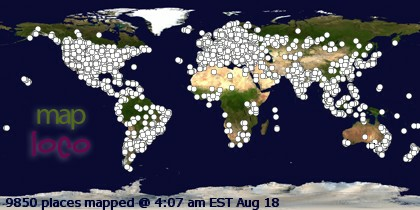 For some people this is enjoyable ‘gameplay’. 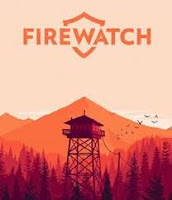 But for me, Firewatch is like a bad book wherein the reader must suffer through lengthy plot transitions while the interesting bits—the action and interaction—are quickly glided over. “Henry legged it out, and after a half hour arrived at the locked gate” is a much better way to utilize the player’s time than: “Henry walked until he came to a fork in the path, then flipped his map up and checked his direction. Seeing he needed to go southwest, he turned to face that direction and began moving along a new branch of the trail. 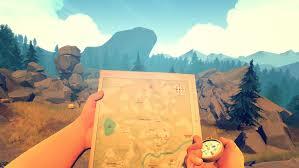 Coming to the next intersection, Henry dug out his map again, checked direction, and…” Rinse, wash, and repeat and you get the ‘gameplay’ of Firewatch.